In residency, they say the days are long and the years are short. Buried beneath the hours and work, it can be hard to find joy in the work we do. The work of a resident isn’t always filled with life-saving moments and wind-blown hair. In fact, moments where we personify our Grey’s Anatomy or House counterparts are scarce or implausible. Babies are not delivered pristinely clean and patients rarely walk out of a hospital after having had CPR. For internal medicine residents, our work of taking patient histories, performing physical exams, analyzing data and pinpointing the right treatment is less glorious and more repetitive. Given what we actually do, it is not surprising that 76% of internal medicine residents have experienced burnout at some point. However, what we do is still important. We treat chronic heart disease, obesity, diabetes, high blood pressure, low blood pressure, and many other things in between that Hollywood never shows because the effects are more subtle, especially in the clinic setting. It was in one of these moments that I unexpectedly fell upon the sense of fulfillment. I had been in clinic, typing a visit note – my attention fixed on the computer in front of me – when my patient had started to talk about his smoking. My patient had smoked for decades and would be nearly breathless every time he arrived in my clinic room after calling his name in the waiting room. Smoking was part of his biker, jean-clad persona. I never had the time to lay out a few minutes to discuss all of the aspects of his smoking given all of his other medical problems but in previous visits I at least had covered the first two “A” of the five “A’s” of smoking cessation counseling: asking about smoking and advising to stop if they do smoke. In fact, nearly 80% of smokers don’t receive any further counseling during the average office visit.2,3 A woefully high number that has been attributed to simply the lack of time doctors have.4 In one study, the minimum amount of time for smoking cessation was determined to be three minutes – less than the amount of time to microwave a bag of popcorn. But when you add up the time needed for all the other things doctors have to do in a clinic visit – 190 other tasks (yes, people did count this and published it) – it adds up! 5 One study looked at the amount of time it would take to just cover prevention – all the things you should be doing to prevent a disease or its complications down the road, like getting enough, wearing a seat belt, being checked for sexually transmitted diseases, having a mammogram, et cetera. For one physician’s clinic patients, that physician would have to spend no less than 4.4 hours of each and every day just on the sole task of health care prevention! 5 Clearly, physician time is constrained and we are forced to make decisions on which area of a patient’s health care we should focus on. It is not an ideal situation, but this is one of several hard realities in health system with limited resources. At the least, I try to see my patients more often to cover all those other things. Every time I did see this particular patient, I felt compelled to tell him to stop smoking. In studies, barely any intervention has been shown to be better than nothing at all. 6 If you don’t have time to spend the minimum three minutes, at least telling your patients that it is one of the worst things they could do for their health and they should stop is better than waiving the white flag and letting them walk out. In my limited attempts to have my patient stop smoking, I somehow managed to pull this off and it felt great. “Doc, I have to tell you something,” he said. “What is that?” I replied, barely listening while my face was buried in the computer screen looking up notes of his cardiac history. My response was nothing short of a contained tonic-clonic seizure. It was surreal. “Really?” I stammered from my mouth while my mind thought differently, “You listened to me? I was solely responsible for you giving up your twenty year habit of smoking that probably has given you heart disease, COPD, erectile dysfunction, and who knows what else? I struggle with basic life tasks like avoiding ketchup on my shirt and I somehow convinced a real live person to give up smoking!” I looked around the room half-expecting to find it was a prank, half-hoping to find somebody recording this life-changing moment – life-changing for him and for me – but found none. It was a quiet victory that deserved a loud celebration. For this person’s health, I single handedly had altered the course of his future health by getting him to quit smoking. In a parallel universe, I had avoided my patient perhaps going down the road of having heat attacks, being hospitalized for breathlessness, or succumbing to an early death. For example, quitting smoking can add a whole decade to one’s life expectancy. By not inhaling cigarette smoke, patients avoid exposure to the 70+ known carcinogens and thus reduce their risk of cancer. 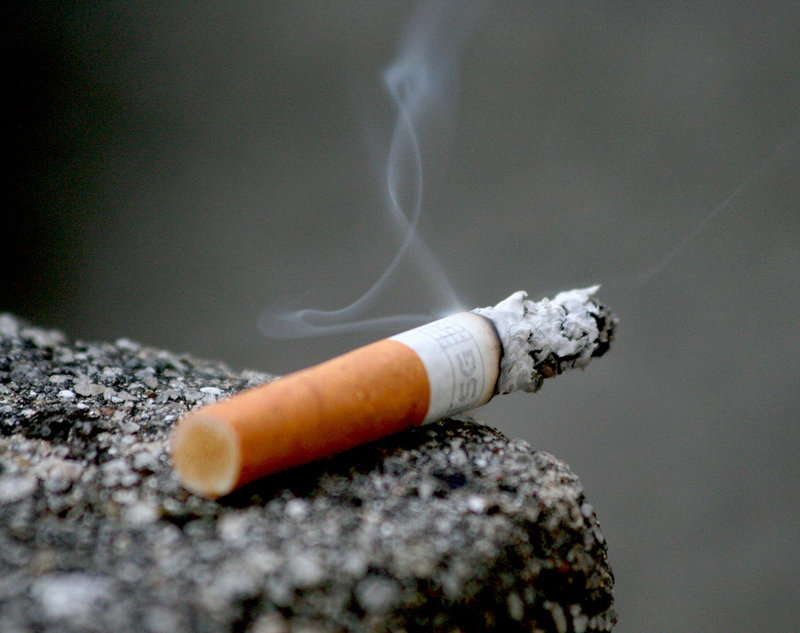 After several years, risks of cancer and heart disease can approach those of non-smokers. After his casual announcement, I stopped my note browsing and gave him the congratulations he deserved. On the inside, I felt like I had received my own reward: fulfillment as a doctor. Finding fulfillment in smoking cessation is not easy because quitting smoking is not easy. On average, it takes a patient 8 to 11 attempts before they successfully quit smoking. 7 The longer a person goes without a cigarette, the greater the chance of successful cessation.8 Although smoking is not as common as it used to be, nearly 1 in 5 Americans smoke and nearly 1 in 5 deaths are attributed to it. 9 Kicking the habit is worth it for the patient. As a result, physicians should participate in some form of counselling with every patient at every visit. 10 In time, patients will quit. Resounding victories are rare in medicine, but when they do happen, they are a reminder of our purpose as physicians. And despite not being shown on TV, moments like this certainly are a bright spot in my day. Shanafelt, Tait D., et al. “Burnout and self-reported patient care in an internal medicine residency program.” Annals of internal medicine5 (2002): 358-367. Ferketich, Amy K., Yosef Khan, and Mary Ellen Wewers. “Are physicians asking about tobacco use and assisting with cessation? Results from the 2001–2004 national ambulatory medical care survey (NAMCS).” Preventive medicine6 (2006): 472-476. Thorndike, Anne N., Susan Regan, and Nancy A. Rigotti. “The treatment of smoking by US physicians during ambulatory visits: 1994-2003.” American journal of public health10 (2007): 1878. Yarnall, Kimberly SH, et al. “Primary care: is there enough time for prevention?.” American journal of public health4 (2003): 635-641. Wetterneck, Tosha B., et al. “Development of a primary care physician task list to evaluate clinic visit workflow.” BMJ quality & safety1 (2012): 47-53. Stead, Lindsay F., Gillian Bergson, and Tim Lancaster. “Physician advice for smoking cessation.” The Cochrane Library (2008). Women and smoking: A report of the Surgeon General. [US Public Health Services], Department of Health and Human Services, 2001. Hughes, John R., Josue Keely, and Shelly Naud. “Shape of the relapse curve and long‐term abstinence among untreated smokers.” Addiction1 (2004): 29-38. ← Remembering Seamus Kennedy and my first, major medical mistake.